When Santa Rosa resident Gabriel Bronsztein checked his credit card statement recently, he was shocked. There, next to the listing from Arcata's Hampton Inn & Suites, was a nearly $500 charge from his one-night September stay the week prior. 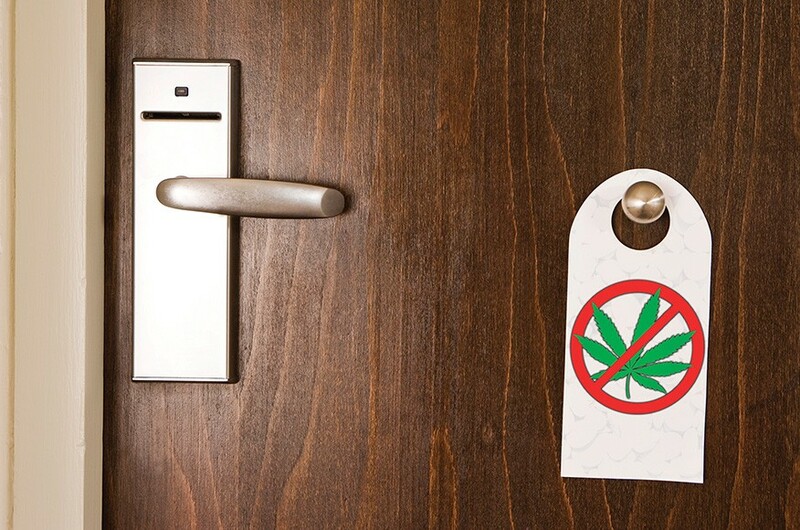 The hotel had charged him a $300 cleaning fee because his room smelled like pot. "What happened was ... I checked in at 12:30 at night," Bronsztein said over the phone recently. "I left at 10 a.m. Before I left, I rolled a couple of joints in my room — I'm a medical patient. And then I walked out." He insists he didn't smoke in the room — "I don't even smoke in my house" — and when he called the hotel to complain about the charge, insisting that he didn't break the hotel's nonsmoking policy, he was told "customers complained and we couldn't rent that room out so we're charging you," he said, adding that the hotel staff told him, "we're not 215 friendly." The whole thing has left a bad taste in his mouth. "You can't tell me that I can't have my medicine," he said. "They said it was illegal and that I'm not allowed to have it there." Dale Gieringer, executive director of the California branch of the National Organization to Reform Marijuana Laws (NORML), says hotels and marijuana users have a long history of disagreement, but said that almost always stems from smoking pot in the room. "It's a routine issue, when we book conferences, to find a hotel that's somewhat tolerant," Gieringer said. "It's become quite difficult to find such hotels. It's more difficult than it was 20 years ago — the anti-smoking rules have gotten very stringent. It's been more of an anti-smoking issue than anything else." While it's legal for 215 patients to possess marijuana there's no doubt that it's more odorously intrusive — even in its inert state — than other types of medicine. "If the room smells of marijuana — or for that matter anything else — and they want to rent it to another guest, I can see why [the hotel would] be upset if any guest leaves an objectionable smell," Gieringer said. Gieringer was unaware of the circumstances, but pondered that in order to leave a noticeable smell from unburned pot, "I would think that he would have to have quite a bit of marijuana in the room." Bronzstein thinks the charge is ridiculous, and, taking him at his word — that he didn't smoke in the hotel — he makes a point. "You have a microwave in your room. If someone cooks popcorn in there you're going to have more of a smell than what I did. ... They didn't spend $300 to clean that room — they just opened the door and let it air out." The hotel declined to comment on the incident, and Bronzstein said the Hilton corporate offices told him hotel policies are determined by the individual properties. The Arcata hotel's website makes no mention of a 215 policy. Bronzstein has disputed the charge through his credit card company. State marijuana laws allow 215 patients to smoke outdoors where it isn't prohibited — though NORML says "patients are advised to be discreet or consume oral preparations in public." If you're a traveling smoker, maybe leave the stinky stuff in your car.